The Ceneta is a sleek fiberglass pedicure spa that features modern looks and a sharp design. Add a touch of beauty to your salon with this contemporary spa. The impressive Ceneta is acetone-resistant and includes a protective gel-coating that guards the spa and sink from rust and corrosion. This new and exclusive spa features removable side panels, an adjustable footrest, polished chrome hardware, stainless steel shower hose, built-in LED color therapy light, FREE matching pedicure stool. 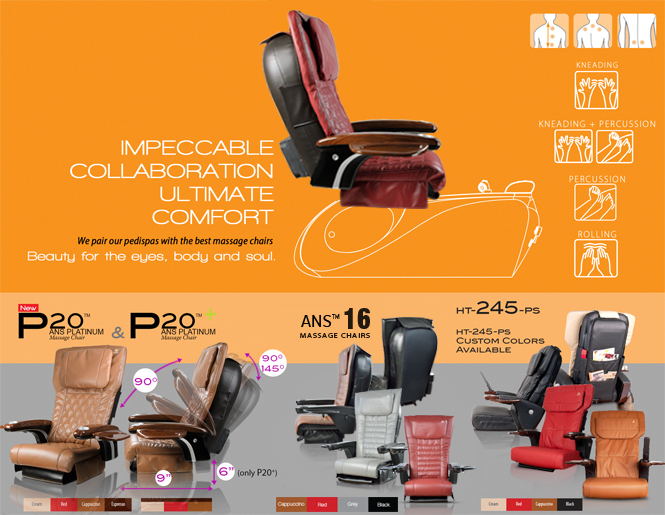 The Ceneta Spa also includes a premium massage chair of your choice. The ANS Ceneta is a sleek fiberglass pedicure spa that features a sophisticated design and a sharp, contemporary style. This modern and stylish pedicure spa is acetone-resistant and includes a protective gel-coating that guards the spa and sink from rust and corrosion. 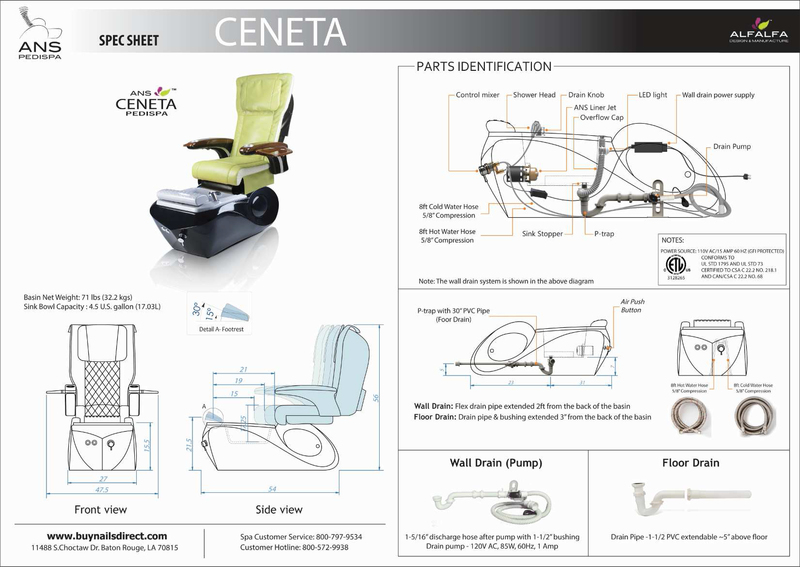 The ANS Ceneta features an adjustable footrest, polished chrome hardware, stainless steel shower hose, built-in LED color therapy light, FREE matching pedicure stool. 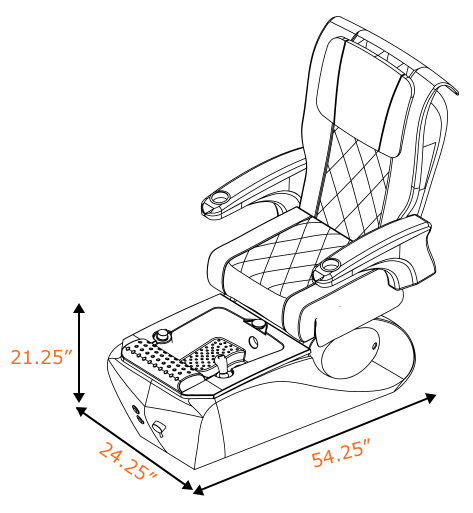 The ANS Ceneta also includes a premium ANS massage chair of your choice.